Outside: Eyewitness to History. Lady Plumbottom's Birthday. 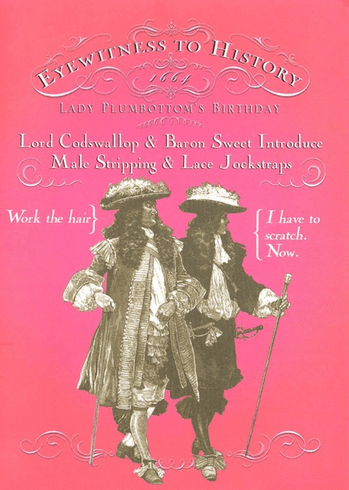 Lord Codswallop & Baron Sweet Intreduce Male Stripping & Lace Jockstraps. Inside: Happy Birthday.